AW Design, Inc. is located in Pacific Palisades, CA and provides Interior Design services for both residential and commercial clientele. The scope and size of projects vary and range from construction projects that last several years to one room make-overs. Interior Design is not just about beauty and know-how but is also about relationships. 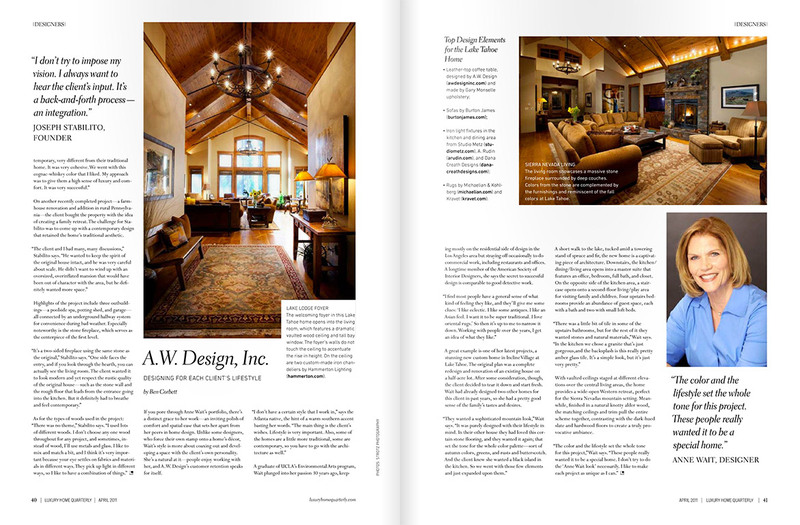 Anne Wait, Principal of AW Design, realizes this and works closely with her clients and the many contractors and vendors related to a project to create smoothly run and satisfying results. Each client and job is unique and Anne strives to make your vision come to life!